At the beginning of the month, as the results of Morocco’s constitutional referendum trickled in, a group of young activists sat in a small apartment in central Rabat. Journalists and bloggers traded stories from the day, the more courageous activists proudly showing scars they had received during clashes at recent protests. When the television announced that the preliminary tally of votes showed that at least 98 per cent of voters backed a new constitution, the room erupted in cheers and laughter. These weren’t activists who had backed the referendum, as most political parties in Morocco did. 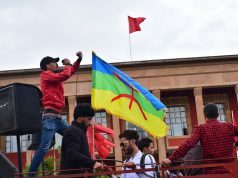 They were from the February 20 movement, a loose coalition of critics of the Moroccan regime that had called for a boycott of a referendum that everyone believed would pass. 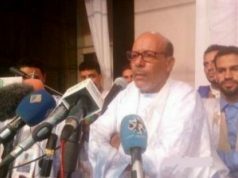 What the ragtag group was cheering was that the score, reminiscent of previous elections under the reign of Hassan II, King Mohammed’s father, would help discredit a process they had opposed from the very beginning. The February 20 movement marks a new departure in Moroccan politics. Since 1999, when King Mohammed succeeded his father, who had reigned over the country for 38 years with an iron fist, most were hopeful that a real transition to democracy was underway. This had been partly ushered in by the late king in the last years of his reign, when he convinced a historic opposition party, the Socialist Union of Popular Forces (known as USFP, its French acronym) to form a government that could put the country on the path to democracy. There were some notable successes, such as the Arab world’s first truth and reconciliation commission, which looked into past human rights abuses; the reintegration of former political prisoners; and one of the most progressive personal status laws in the region. But by the mid-2000s, this transitional experiment began to be seen as a failure. The new king’s advisers continued to hold sway over politics, and grew increasingly rapacious over the economy. In the last parliamentary elections in 2007, less than 37 per cent of those eligible turned out to vote (the opposition says the real figure is closer to 20 per cent). February 20 emerged from this disillusionment with politics. At the beginning of the year, a group of activists – mostly leftists close to human rights groups – were transfixed by what was happening in Tunisia and Egypt. They began a Facebook group directed at King Mohammed, addressing him on the questions they felt the political class was not addressing: Morocco’s failing education system, poor health care, decrepit transport infrastructure and the growing inequality between the mass of the population (Morocco has the lowest development indicators in the Arab world after Yemen) and the elite, which had profited handsomely from a decade of fairly robust economic growth and a dramatic rise in real estate speculation. Some prominent businessmen even joined the fray, condemning abuses of power by the king’s entourage. By mid-February of this year, just as Egypt’s Hosni Mubarak was toppled, the activists on Facebook aired a video of themselves calling for a protest for change. The video, ably produced and straight to the point, spread like wildfire. Tens of thousands joined the Facebook group, which renamed itself February 20, the day of the first protest. By March 20, there were simultaneous protests in over 100 towns. 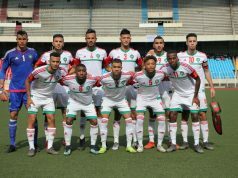 They tended to be led by leftist activists and independent liberals, but also received major backing from Justice and Spirituality, Morocco’s largest Islamist movement (which is banned for its critique of the monarchy, most notably the king’s official religious role as Commander of the Faithful), as well as the youth wings of various political parties. It was the biggest wave of political activism the country had seen in decades. Within weeks of the first protest, the king reacted. On March 9, he launched a reform process that led to the new constitution passed on July 1. 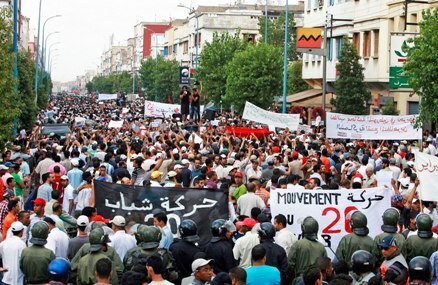 Constitutional reform had long been a demand of the Moroccan opposition, but it was not a central demand of February 20. Nonetheless, the royal initiative fragmented the movement. Political parties that had supported it distanced themselves from it, particularly as it was seen to become more radical and refused to participate in the king’s constitutional commission, demanding instead an independent constituent assembly. Early sympathizers became nervous about February 20’s alliance with Justice and Spirituality, whose conservative views occasionally came out in demonstrations in which they often made up half of the protesters, aligning themselves in neat ranks unlike the disorganized groupings of the young Facebook activists. With the monarchy having won the first round by upstaging protesters and focusing on constitutional reform, many now wonder what the future of the movement will be. “We’re back to February 19,” says one member. Some predict its Islamist and secularist components will have increasing difficulty working together. But others are less gloomy: they are content, for now, with the knowledge that without their movement, the government would have not even thought that a new constitution was necessary or released political prisoners in recent months. Nor would have new online publications, often run by exiled dissident journalists, cropped up to serve the new interest in political commentary. 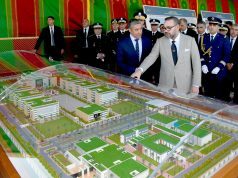 Whatever the future of February 20, if political life finally shows some signs of activity, Moroccans will have this unlikely coalition to thank.